Also known as the Facebook phone due to its dedicated facebook sharing key at the bottom, the ChaCha is the perfect phone for a business person wanting to make the switch from a blackberry. 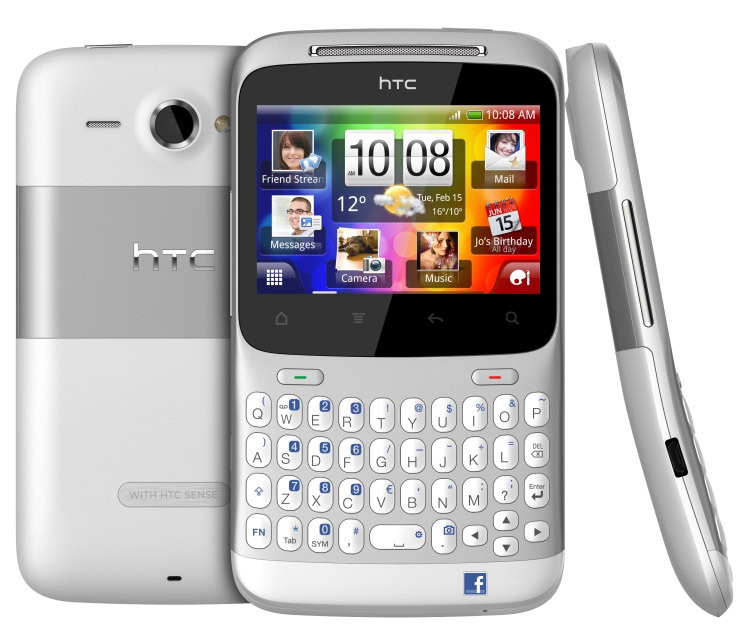 it features a 2.6″ touchscreen with a resolution of 480 x 320, an 800MHz processor and android 2.2 with HTC Sense 2.1. plus it has a beautiful design. As the succesor t0 the Galaxy 3, the galaxy ace rocks an amazing and lightweight body, an 800MHz processor, a 3.5″ AMOLED display and android 2.2 with touchwiz 3.0, and an upgrade coming in the future. Yea yea I know the phone has a 1GHz processor and android 2.3 also know as those wicked robots made out of gingerbread. When I saw it I was like whoa, that’s some wicked pic right there, then I saw ice cream sandwhich’s robot and I was like double whoa! Cuz the honeycomb logo was just bleh. But that’s besides the point. Right so as I was saying, it has all the great specs, but if you have used it, you what I’m talking aboot. Yes I said it that way. No typo.